Tons of features and more to come to make managing your business easier. get through your customer order faster. With a simple and beautiful interface, MokaPOS is designed to help you speed up your checkout process. From a customized favorite page, variant selection, and responsive UI, get through your customer order faster. you customer’s shopping habits or create a customized marketing promotion. Print your receipt or send a digital receipt via SMS or email. When you send a digital receipt, you capture your customer’s phone number or email which you can later use to understand you customer’s shopping habits or create a customized marketing promotion. Assign a new customer order to a table number. Keep the bill open while you process a new transaction. Assign a new customer order to a table number. Employees need to enter authorization code to modify a bill that is already saved. the cash register at any given time. Gain control to maintain accountability of the cash moving in and out of your store. Know exactly how much money should be in the cash register at any given time. Select the staff that serves your customer during checkout. Select the staff that serves your customer during checkout. Staff report on the on the back-office allows you to calculate commissions. Create Automatic Promotion to Boost Your Sales! back-office - no more human error. Happy hour buy 2 get 1? Christmas promotion get 10% discount with minimum purchase? You can do it instantly with Moka’s Promo feature, you can easily setup your own promotion program directly from your back-office - no more human error. Specify what kind of promo you want to create. Moka already gives you the templates to the most popular type of promotions. With just a click away, your promotion is on the way. Don’t forget to input your promo name to make it easier to track. Setup the required items your customers need to purchase in order to get the rewards. Gain your customers heart by rewarding them with promotion. Select the rewards your customers receive when they make a purchase with the selected promotion program. Want to customize your promotion in certain time period, on selected hour and date? Yes you can! Simply configure on how you want the promo to work, and Moka will run the campaign for you automatically. Your cashier doesn’t need to input the promotion manually so less human error and more selling. In the back-office, you can also see the detailed reports on how each promotion boosts your sales. and inventory by outlet, or select all outlets for a complete view. Manage multiple outlets with just one account login. Simply filter reports and inventory by outlet, or select all outlets for a complete view. more. Easily export raw data to Excel to create custom reports. MokaPOS provides comprehensive reports so you can see how your stores are performing, what items are bringing you the most sales, and more. Easily export raw data to Excel to create custom reports. With Moka, you can track the cost of goods sold (COGS) for each item you sell. business and even the gross margin contribution of each item. With Moka, you can track the cost of goods sold (COGS) for each item you sell. We understand that buying costs can vary with every purchase, so we do the hard work of calculating the average cost based on each purchase order you make. With every sale you make, we will help you track your gross profit for the business and even the gross margin contribution of each item. your inventory better, directly increasing your profit. Track all incoming and outgoing items. Receive a daily email detailing items that are low or out of stock. Moka Inventory Management allows you to plan your inventory better, directly increasing your profit. Track your supplier information to speed up re-orders. Purchase orders are sent to suppliers via email. Use purchase orders to add incoming stock. Transfer and track stock movements from one outlet to another. Perform stock-takes and compare expected stock with actual inventory. Make necessary adjustments. from one outlet to another. expected stock with actual inventory. the warehouse, saving you and your customers time. Your inventory data is also available within MokaPOS app, so your staff can easily check if an item is available at the store without manually checking in the warehouse, saving you and your customers time. items that contain the ingredient! Now you can easily manage your ingredient inventory in the kitchen. Simply create recipes for your items, and your ingredients will be deducted with every sale of items that contain the ingredient! your shop, and get their feedback. Know who is coming to your shop, what they are buying, how often they visit your shop, and get their feedback. Keep your customers coming back with Moka's intelligent Loyalty Program. you are set to boost your sales! Increase Your Sales Up to 30% by Retaining Your Customers! Keep your customers coming back with Moka's intelligent Loyalty Program. No more physical cards that fill up your wallet. With just a phone number, you are set to boost your sales! if they want to issue refunds or modify a bill. Specify what roles you give to your employees. In the back-office, you can give permissions for Manager A to manage inventory, Manager B to access Sales Report, but only you as the admin can have access to all of the back-office. On the App, staffs have to input their 4-digit authorization code if they want to issue refunds or modify a bill. Allow customers to pay in the future after the transaction takes place. control inventory and facilitate delivery of goods and services. Allow customers to pay in the future after the transaction takes place. Invoices are used to request payment from buyers, keep track of sales, help control inventory and facilitate delivery of goods and services. Invoice Number, Date, Status, Items, as well as payment status. Invoice Report gives you a comprehensive overview of all Invoices you have generated in a given time period. The report in Invoice tab will show you the Invoice Number, Date, Status, Items, as well as payment status. In order to grow your business, Moka Point of Sale has all the best features you can get. In MokaPOS, we allow you to take the order, manage the inventory, manage your employees and customers, set up the discounts, taxes and loyalty program, report the sales and gross profit you have when you run the business. All those things can be done automatically in Moka Point of Sale Software so you can now focus on improving your service and marketing. Join now with Moka and you can try our POS software for free. Your customers play significant role in running your business because without them, your business will never grow. That is way, another thing that you need to concern aside from the business management is customer satisfaction and we understand that. To increase your customer satisfaction, Moka brings you the Customer page in our Point of Sale system. With our Customer feature, they can sign to be your store member by using your phone number. More spaces on your wallet. 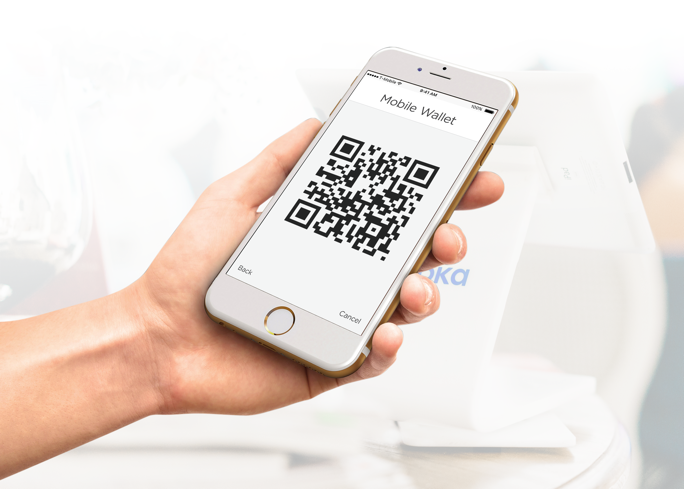 MokaPOS also allows you to send the receipt through sms or email or leave the feedback. For your loyal customer, Moka Point of Sale also provides you with loyalty program that you can set in our Point of Sale software. You can get all this benefit by simply using MokaPOS. As the best POS system, MokaPOS is integrated with all cashier machines like receipt and kitchen printer, cash drawer, barcode scan, mobile printer for Android device and mPOS for your debit and credit cards payment.